A twist on traditional hummus, this recipe uses peas instead of chickpeas and avocado instead of tahini. 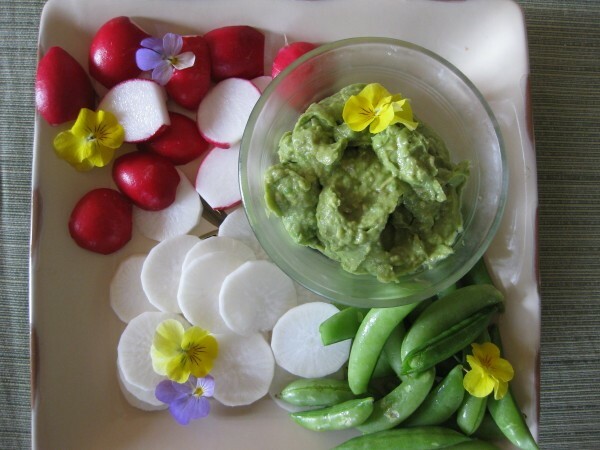 It makes a great dip with seasonal crudite like radishes and sugar snap peas. It is also a fantastic spread for a wrap or sandwich. I love it on an egg tartine with pickled onions. 1. Combine everything in a food processor and blend until well incorporated. You should end up with a thick, creamy hummus. 2. If it’s too thick add a little more olive oil. 3. Taste and adjust seasonings to keep your palate happy. I often add a bit more lemon juice.